Battle for Azeroth release date has been announced! With it, it is time to prepare yourself for the contents that will be arriving in the patch 8.0, which is commonly known as “Pre-patch” as it introduces most systems of the new expansion, but relative few pieces of content. With Battle for Azeroth, we’re making changes to how we’re handling talents in PvP. In Legion’s current Honor Talent system, talents become available as you earn Honor levels through participating in PvP, which puts players looking to get into PvP for the first time at a disadvantage until they earn the tools everyone else already has. In Battle for Azeroth, we’re streamlining the system so that PvP talents will become available as you level, keeping players on more even footing. In Legion, PvP talents were organized in rows of three, much like regular class talents; in Battle for Azeroth, players will be able to select any three PvP talents from a large pool of options, along with a special crowd-control-breaking talent (variations on the old “PvP trinket”). You’ll earn this crowd-control breaker at level 20, choosing from one of three available options via a fly-out menu. By level 110, all PvP talent options will be available to choose within the Talent pane (N). This system offers more options for customizing your character to suit your play style or your environment, whether that’s world PvP, Battlegrounds, Arenas, or the new Dueler’s Guild (more on that below). As with your class talents, you’ll need to be in a rested area to switch between these. We’re introducing a new way of getting into PvP out in the world with a system we’re calling War Mode. War Mode tears down boundaries and server rule-set distinctions, allowing players on any realm to decide when they want to jump into a world PvP experience full of like-minded players in the ongoing battle between Horde and Alliance. This new system gives us the opportunity to revisit World of Warcraft PvP as an open-world experience, building on the latest game technology available. Players can decide on the type of gameplay experience they want to have no matter their realm of choice. Whether that means opting out of world PvP entirely, gathering allies and venturing out into dangerous lands when the mood strikes you, or turning on War Mode and never looking back—the choice will be yours. With War Mode, we wanted to solve the problem of some players feeling “locked” into one play style or another by their realm choice. They might have picked a PvE realm purely because their friends were there, even though they were interested in open world PvP. Conversely, they could have chosen a PvP realm to start, but later decided it wasn’t for them anymore. War Mode provides a way for both styles of gameplay to co-exist for every player—and with the way realm sharding works now, we felt this was the right opportunity to let players choose. By toggling War Mode on, players will venture out into a world full of others who have made the same choice. This structure also provides a foundation upon which we can offer all-new systems to encourage and reward world PvP, open to all interested players regardless of their choice of realm. Players who choose to turn on War Mode will get a few additional bonuses while in the mode. First, while War Mode is on, all PvP talents you’ve chosen will be available to use anywhere PvP can occur, providing a more consistent and efficient experience as you level. Rather than having your PvP talents toggle on and off depending on your location in the world or whether you’re engaged with a creature or another player, you’ll have access to them everywhere PvP can happen. Sanctuary areas will still be PvP free. Players in War Mode will also get an additional bonus to experience gains while leveling up. We understand that when players choose to engage in PvP, the added danger from other players can result in a slight loss in leveling efficiency. We wanted to provide a way to balance this out without creating a situation in which players who choose not to engage in War Mode feel they’re losing out on an opportunity. For the same reason, at max level, War Mode also offers an additional bonus to gold, Resources, and Artifact Power earned from World Quests. War Mode can be toggled on or off beginning at level 20 by visiting either Orgrimmar or Stormwind and setting their preference in the Talent pane (N). Beware! Once you venture out in War Mode, all zones will become contested, including zones such as Northshire Abbey. Additional War Mode features such as Bounty Hunter and Air Drops (more on those below!) will only be available in the new zones in Battle for Azeroth. There are a few additional caveats when looking at grouping while in War Mode. If you’re taking part in dungeons or raids while you have it turned on, you will still be able to be summoned by players who do not have it on. Once summoned, you won’t be able to see each other until you have zoned into the instance. When using the Premade Group Finder to search for groups for outdoor activities such as questing or world bosses, you will only see groups containing players who also have War Mode on, unless you return to Orgrimmar or Stormwind to change your status. Infamy has its ups—and its downs. You can become infamous in War Mode by killing a certain number of players of the opposite faction without dying. Once you do, you’ll achieve the status of Assassin and gain an increase to your damage and healing by 15%. Congratulations! Of course, there’s a downside to your newfound infamy. The more players an Assassin kills, the more likely they will show up on the zone map for other players to target and kill to gain a bounty. Players who successfully kill an Assassin of the opposite faction will receive Conquest points as well as other rewards. There can be three (or potentially more) Assassins on any Battle for Azeroth zone map at a time, providing plenty of opportunity for players—or groups of players—to take their revenge on the opposite faction’s Assassins. From time to time, a flying machine will make its way across the sky. The rumble of its engine is a clear indicator that something is afoot. You’ll want to keep an eagle eye on the sky and watch for a War Supply Crate to drop somewhere in the zone. Similar to the chest in Gurubashi Arena, players can fight over the crate and claim it for their faction. 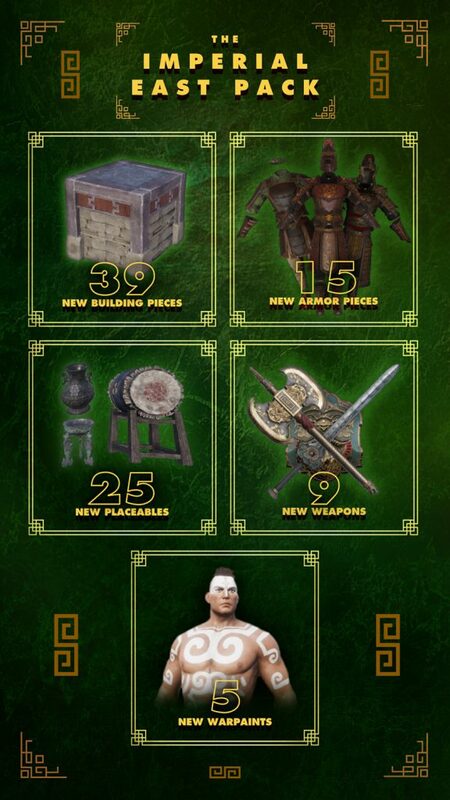 Once a faction has gained control of the crate, anyone of that faction who is within the area will have a short period to open it and collect a piece of personal loot. Take your duels into the new outdoor arenas in either Boralus or Zuldazar. Similar to the Brawler’s Guild, players can speak with an NPC who will queue them to take part in 1-on-1 duels in the arena. Once in the arena, you’ll battle it out against a rival player to see who continues on. If you lose, you’re out. How far can you go before you’re no longer the top of the heap? Getting far enough through the gauntlet of players will provide some achievements, including Master of Duels, which rewards the title Contender. You’ll also find the PvP reward chest in the Dueler’s Guild if you’ve filled up your Conquest bar for the week. Read more about it in our Rated PvP Updates post. Legion’s Honor system was originally crafted around the idea of earning PvP talents through participation, and then resetting progress to gain Prestige—and cosmetic awards—in the process. Now that PvP talents are instead earned in the regular course of leveling, we’re refocusing the Honor system around open-ended progression that offers various cosmetic rewards for engaging in PvP. By participating in any type of PvP, you will gain Honor and eventually Honor Levels. As your Honor Level increases, you will earn rewards like titles, pets, mounts, and more. As your Honor Level rises, you will also progress through a series of icons associated with your character frame and displayed prominently on Battleground scoreboards, showing off your accomplishments for all to see. In Battle for Azeroth, Honor and the rewards earned through your participation are all account-wide. All Honor earned by individual characters in Legion will be aggregated into a single account-wide total Honor Level in Battle for Azeroth. For those who have already earned any of these rewards in Legion, you will retain them regardless of whether you meet any new Honor requirements. Whether you’re a grizzled PvP veteran or interested in trying your hand at world PvP for the first time, the Horde and the Alliance will have plenty of opportunity to prove their prowess in Battle for Azeroth. 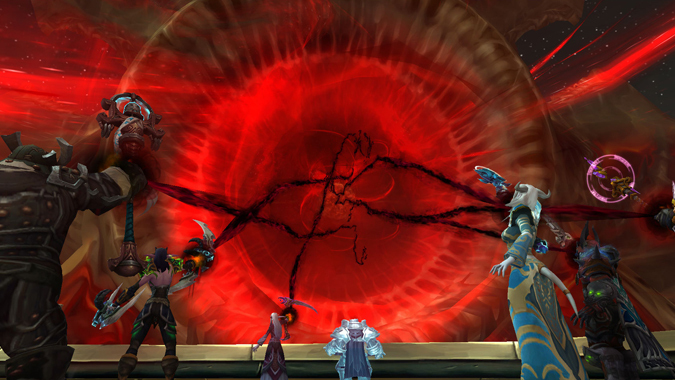 Silithus has become a hive of activity following the wounding of Azeroth by Sargeras’ sword. The Azerite seeping up to the surface has captured the attention of both the Horde and the Alliance, and a deadly race has begun to collect as much of this new resource as possible. While these two factions focus on a future of war, Magni Bronzebeard has turned his attention to finding a solution to Azeroth’s plight. Magni is putting out a call to heroes from every corner of the world to gather once more in Silithus. There, you’ll need to use the power of your Artifact weapon to draw out the darkness from Sargeras’ sword and help stabilize Azeroth’s grievous wounds. There’s a price to be paid, however, and you’ll find that once you’ve lent your aid, your Artifact weapon will become a little unstable. But with this instability comes a temporary boost in power . . . which will, perhaps a bit ominously, continue ramp up over time. E3 2018 the biggest video game event of the year! E3 is open to industry professionals and gamers. Hosted in Los Angeles! Continuing coverage of E3 2018 will be provided. Critical news and updates on upcoming games and their impact on the Ruin community. Elder Scrolls Online: Summerset Launch! CONAN EXILES FIRST DLC PACK, THE IMPERIAL EAST PACK IS NOW AVAILABLE! Enrich your Conan Exiles experience with all new content from the eastern lands of Khitai! CONAN EXILES has launched on PC, Xbox One, and PlayStation 4 on May 8th! Check out this glimpse at some of the content and features you will get to discover in this ultimate vision of CONAN EXILES, the open-world survival game set in the lands of Conan the Barbarian! As the RUIN gaming community continues to expand, hosting over 10,000 active members with 5,000 registered on Discord, a need to facilitate and organize common procedure, training protocol and general information for use in multiple gaming platforms has arisen. Achieving the core mission of providing the best gaming and online community experience possible requires strong communication infrastructure and feedback mechanism to ensure a continual process of improvement. Expanding the Warrant Officer Department with additional Technical Officers and information officers to assist in scheduling, communicating and supporting team activities across all RUIN branches is a critical initiative for 2018. Extensive use of modern social media and integrated peer reviewed and edited rules, expectations and guidelines for all members is a critical goal for RUIN in 2018. Conan Exiles – Countdown to Launch! Battle for Azeroth Arrives August 14th! On August 14, the Battle for Azeroth will begin! Prepare for war as the Alliance and the Horde go head to head in the latest World of Warcraft expansion. Announcing The Elder Scrolls Online: Summerset, the next Chapter in The Elder Scrolls Online saga. Explore the ancestral home of the High Elves, an all-new zone packed with adventure. Join the mysterious Psijic Order and gain powerful new abilities. Reunite with old friends, forge new alliances, and work together to unravel a conspiracy that threatens Tamriel’s very existence. Battle for Azeroth Arrives August 14! On August 14, the Battle for Azeroth will begin! Prepare for war as the Alliance and the Horde go head to head in the latest World of Warcraft expansion. Explore the kingdoms of Zandalar and Kul Tiras, gather Azerite on uncharted islands, and strike at the opposing faction in Warfronts.